Organizations of all sizes are realizing the benefits (and the competitive need) for utilizing big data. Each day, companies capture and create large sets of data from customer interactions, financial transactions, and even employee statistics. However indexing, searching, and analyzing said data isn’t an easy task. As a result, many businesses have what are known as relational databases. Unless you are in DevOps chances are you’re not too familiar with relational databases. These types of databases have become industry standard as opposed to hierarchical databases as they simplify the mapping of data and make indexing and search much easier to do. These types of databases are the backbone of business applications. Whether a business offers a web service to customers, or uses a relational database to host and manage information for a company-wide custom CRM, the database is the key to managing and supporting applications. As data is growing exponentially, companies are finding it difficult to keep their databases up with the demand for data processing and storage. As databases grow, they require an immense amount of management and often require the acquisition and implementation of new equipment to accommodate growth. In addition to its industry-leading Amazon Web Services, cloud-computing giant Amazon also provides a fully managed Amazon Relational Database Service (Amazon RDS) which allows businesses to easily set up, scale, and operate highly available relational databases in the cloud. 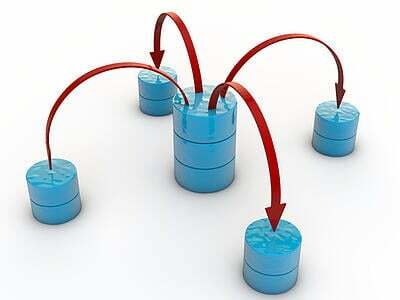 With the traditional model of hosting and running databases, users have to provision servers to run the databases on. Provisioning a server means getting pre-configured system components such as CPU, memory, storage, and Input/Output Operations Per Second (IOPS). With Amazon RDS, users can split these components apart to scale in relation to their system needs. For example if they need more CPU power but less storage space, users can scale these components independently via the Amazon RDS dashboard to create a server environment to efficiently run and manage their databases (with a bonus of only paying for system resources used). If a database grows in size, the environment can be easily scaled up via Amazon RDS. Unlike hosting databases in-house, Amazon RDS doesn’t require the installation of software. So users don’t have to download and deploy MySQL or Oracle Database on their own servers. They simply click the option they want and go; all the work is taken care of. Plus regardless of what engine is being used to manage databases, Amazon takes care of patching to ensure that the platforms are all up-to-date. As Amazon RDS operates in the cloud, it automatically schedules backups to make sure data is always available. In addition to managing backups, Amazon RDS also manages software patching, automatic failure detection, and database recovery – allowing you and your team to focus more on the information and performance of your databases rather than the time consuming task of back-end management. Customers can also leverages AWS’ massive infrastructure to automatically implement high availability and replicate their RDS instance to another availability zone.